By joining two of the most popular ingredients that can be found in any country, I invite you to try this side dish. It is truly a winning combination. In a pan over medium heat add the chopped bacon, leave for 5 minutes and add the garlic and potatoes, let cook for 5 minutes more. Add salt and pepper and keep in mind that bacon contains salt and we do not want the meal very salty. Add water reduce heat and simmer for 15 minutes or until potatoes are soft in the center and the bacon crispy. The ideal is that the potatoes are impregnated with the flavor of the bacon. This is an excellent side for meats. 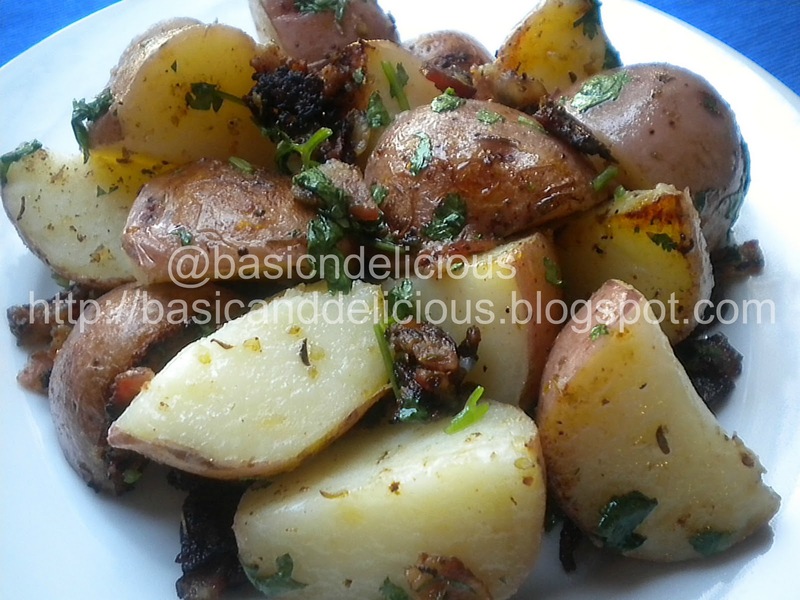 This entry was posted in Uncategorized and tagged bacon, potato by Kathia Rodriguez. Bookmark the permalink.